Few chairs are as recognizable as those designed by Charles and Ray Eames. And though Modernist duo were pioneers in the creation of quality furniture, both easily produced and sold at affordable prices (though you wouldn’t exactly guess that now), did you know that their lounger was their first foray into the high-end furniture market? 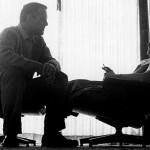 Officially titled Eames Lounge (670) and Ottoman (671), the chair was originally designed for Herman Miller back in 1956, and when it was released, Charles and Ray were already household names counting nearly 1 million chairs in homes across the country. To that end, when the pair were ready to debut this latest luxury creation, NBC’s Home show invited them to come on and talk about their design. Anyone who admires the Eames will without question love this video featuring the adorable twosome modestly taking compliments from host Arlene Francis while discussing everything from their plywood chair, to their precedent home in Los Angeles, to their lounger, which in the segment gets a comically dramatic unveiling complete with curtains, lights and music. 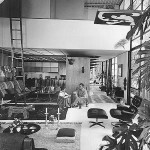 The lounger and ottoman are the product of years of research and development in which the Eames experimented with an array of material combinations. The couple eventually settled on leather and plywood for the final design, which continues to be the standard even in production today. 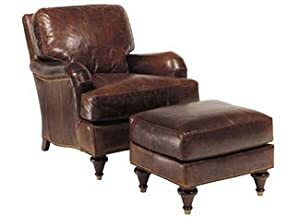 Inspiration for the chair’s form came from the traditional English Club Chair, but was clearly distilled into a much more streamlined silhouette that matched up with the modern style of the time—although Ray remarked early on in a letter to her husband that she thought the chair looked “comfortable and un-designy.” Charles, however, believed the lounger embodied the “warm, receptive look of a well-used first baseman’s mitt”—exactly what he wanted. Since the chair was first introduced back in the 1950s, Herman Miller has never stopped production, only tweaking the materials slightly to improve on the chair’s environmental impact. 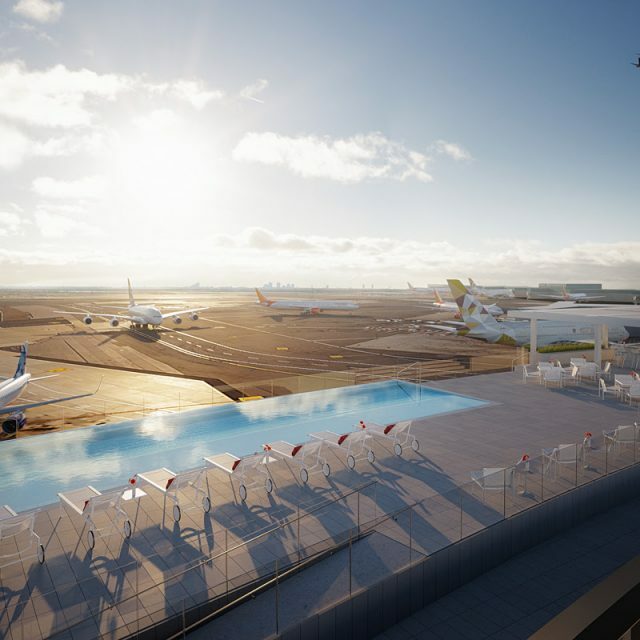 Today, the lounger goes for about $4,600, a price point very much in line with the Eames’ and Herman Miller’s original vision that the chair was destined for wealthy homes. 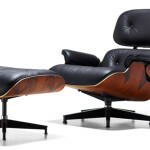 Even vintage Eames chairs are selling at a pretty penny, with originals being auctioned off for upwards of $7,000.